Is it wrong to be a fan of a series with dull characters and a largely inconsequential plot? If so, I’m in trouble, because I somehow became a fan of the Is It Wrong to Try to Pick Up Girls in a Dungeon? 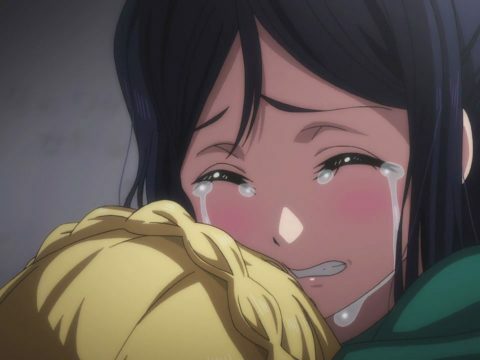 anime. 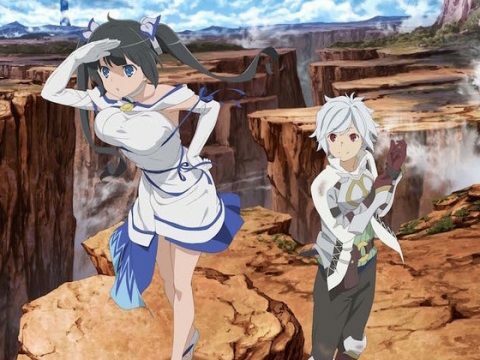 Maybe I’m just a sucker for dungeon-crawling, because Danmachi (which I shall mostly refer to it as from here on to save space) doesn’t have a whole lot else going for it. At the forefront stands an infallible adventurer—selfless, strong, and growing at an ever-increasing pace beyond anyone’s wildest dreams. That’s Bell Cranel in a nutshell; one of the most shamelessly self-insert characters in recent anime history. 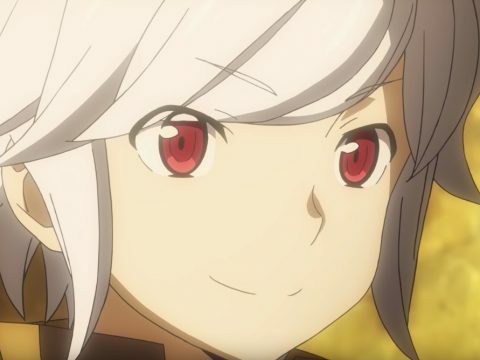 He’s essentially a “Kirito”—he even has the same voice actor!—but despite his bland, borderline flawless disposition, Danmachi managed to be a really enjoyable series. And if you liked what that had to offer, well, I guess you might as well kill time between now and the next season with Sword Oratoria. You know a series is popular when it can afford to start adapting spinoffs featuring a bunch of side characters. 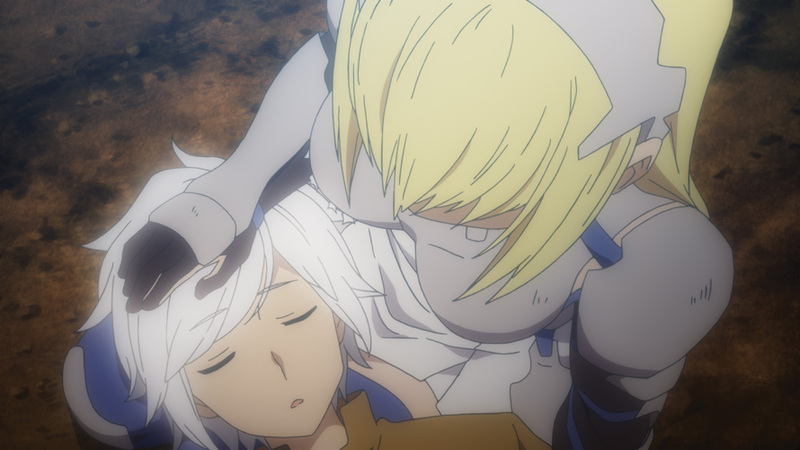 In the case of Sword Oratoria: Is It Wrong to Try to Pick Up Girls in a Dungeon? On the Side, the characters in question are Ais Wallenstein and her party. Though the series ostensibly focuses on Ais herself, there’s a pretty equal spotlight on everyone else. Beyond Ais there’s mage-in-training Lefiya, the brash Bete, cursed “Banshee” adventurer Filvis, and a bunch of other party members of varying degrees of importance. Some of them are more interesting than the rest, while others just kind of bleed together like a homemade fantasy stew. Sword Oratoria is unique in that it takes place right alongside the main series. 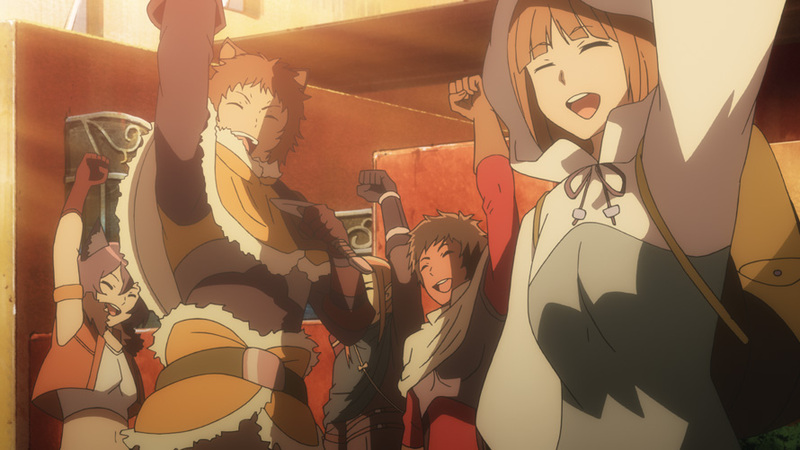 While we see Ais and her party at Level 50 of the dungeon in the opening scenes, the first episode ends with the moment in which she saves Bell from a raging Minotaur, thus triggering the ability that would go on to power him throughout the rest of the series. You’ll be treated to a few other moments like this during its 12-episode run, most of which completely reuse scenes from the main series while showing how it all went down from Ais’s perspective. Other than that, there’s a whole lot of Lefiya pining for attention from Ais, which is a bit that wears thin pretty quickly. 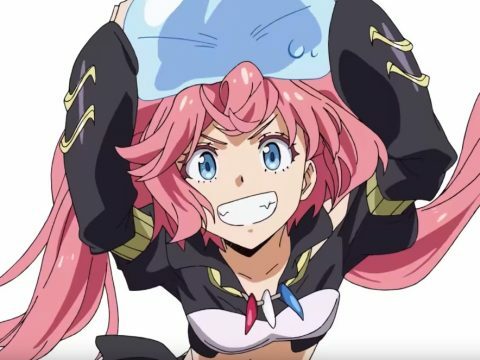 Because it’s mandatory that someone prominently featured has a crush on our sword princess, Lefiya essentially fills the void left by the mostly absent Bell. Much like Bell, Ais is more or less flawless. She has a mysterious past that gets tapped into from time to time, but she’s otherwise a warrior who continues to surpass her own limitations and impress everyone who surrounds and supports her. For some reason, much of Ais’s emotional backstory has to do with her hoping to one day find a hero of her own. We’re talking about a character who might literally be the most capable person in the entire series here. It’s really tough to pin down what makes her special besides her strength. 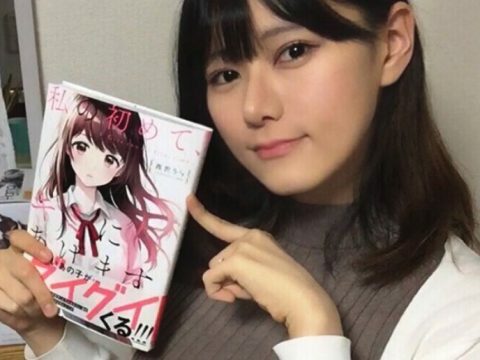 Some of her party members occasionally make references to how stiff and emotionless she is, so it’s clear the staff and cast know what’s up with her. It just makes it all the stranger that she was deemed worthy of a series all her own. 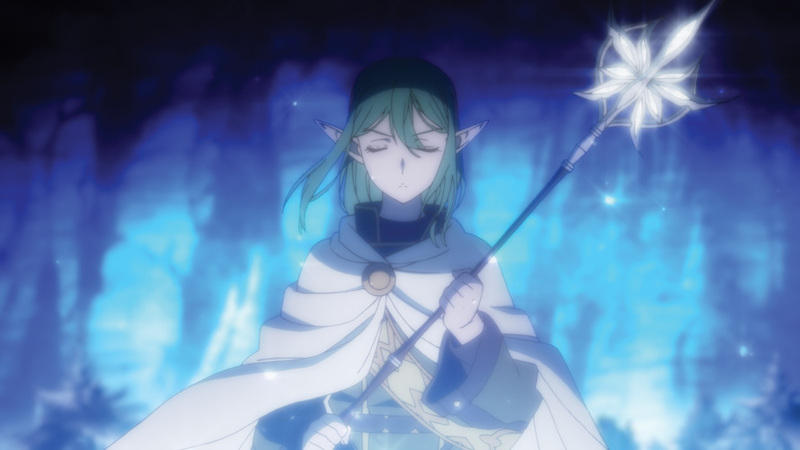 On the positive side of things, Sword Oratoria actually has a more intriguing overarching plot than Danmachi itself. There’s a cold-blooded murder at its heart, and the shadowy background players are more prevalent than they are in the main storyline. As for their motives, well, that’s a different story altogether. Danmachi as a whole plays its villain cards so close to its chest that it’s tough to tell if they even know what they want to do with them in the first place. Does any of this matter? Maybe not. I found Sword Oratoria mostly pointless, but I couldn’t stop myself from finishing it regardless. I can’t recommend this series to anyone but the devoted Danmachi fan, though. Which … I guess I am now? Now that’s what I call a plot twist!